The objective of Be Kid Smart is to provide an effective affordable way to close the gap on missed opportunities to train kids on Pipeline Safety and Public Awareness. 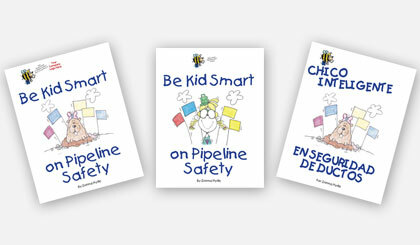 The Be Kid Smart on Pipeline Safety story is written to be simple and fun for young students whether read aloud in a classroom story-time setting, at a safety fair booth or at home. 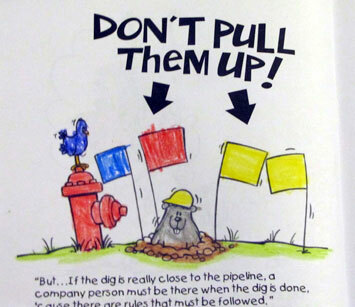 The Be Kid Smart on Pipeline Safety story is clear about safety and identifying underground utilities in city or rural areas. The bonus objective of Be Kid Smart on Pipeline Safety is - when kids are clearly trained on Call 811 Before-You-Dig they are empowered to be pint-sized Damage Prevention Patrols on location! Melissa from Louisiana attested this fact when one of her trained students told her what was said before a line hit. 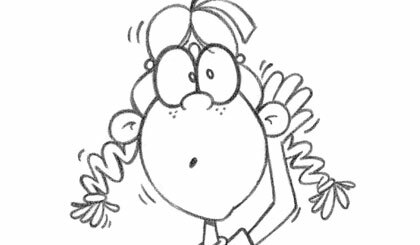 The student stated, "I told him (Daddy) to call 811!" The dad reported he should have listened to his son. That student was a fourth grader. When the safety message is clear, a well trained kid will not be silent. 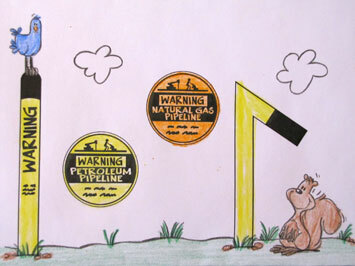 Be Kid Smart on Pipeline Safety tested highly effective when intentionally presented to students, 1st through 4th grades, in a simple story-time setting. 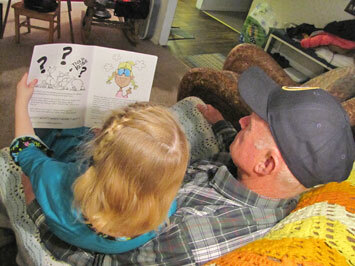 Average Be Kid Smart on Pipeline Safety story-time and safety review Q&A is 20 minutes. Yes just 20 minutes!!! Most effective group size range, up to 60 students in a single classroom or small area. Be Kid Smart “Certified” Stickers proved to engage and energize students to share their Pipeline Safety and when to Call 811 knowledge. Do you think students know how to recognize pipeline signs that mark right-of-ways? I know they understood the signs. Many have told me since the presentation that they have seen signs and related it to the presentation. Are the procedures for identifying and responding to a possible pipeline leak understandable? 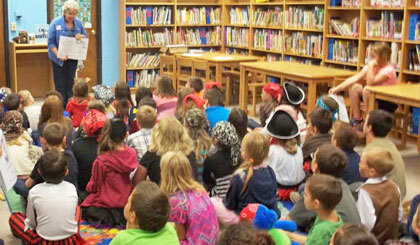 The procedures were very understandable and on the students’ grade level. How Often should Be Kid Smart on Pipeline Safety be presented? If you are presenting to the same group—every three years. But, if you are presenting to a new third grade group each time, I would say annually. The education of the public continues today years after the one call system was created and still many people ignore their legal obligation when excavating and not calling 811 to place a one call. It’s clear that educating our young people is needed to insure the safety of the public in the future. It’s a Fact . . .
Property owners still dig without notification calls to 811. Kids watch and are big influencers. When trained to know the Why and Who to Call-Before-You-Dig, a kid automatically asks questions and becomes the pint-sized Damage Prevention Patrol on location!